The cash for clunkers program was made for someone like me. 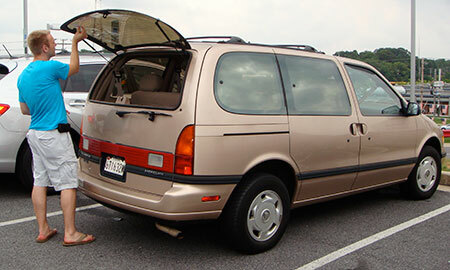 My hand-me-down 1994 Mercury Villager minivan just barely qualified for the program by 1 mpg. 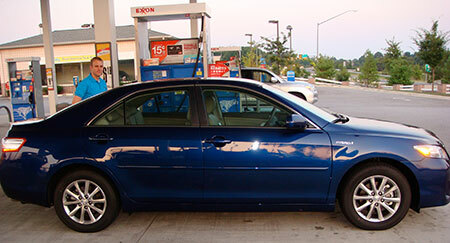 I had always been contempt with my loveable clunker as I don’t drive very much. But when I started hearing hissing sounds when driving around in my van, I knew the cash for clunkers was the ideal way out. Unfortunately I came to this realization the week before the cash for clunkers program was scheduled to end. Russell saying his final goodbye to his old minivan. Cutting it close is an understatement as I was finally able to land a deal on Saturday morning, August 22nd. The cash for clunkers program officially ended two days later but many dealers were stopping Saturday night. 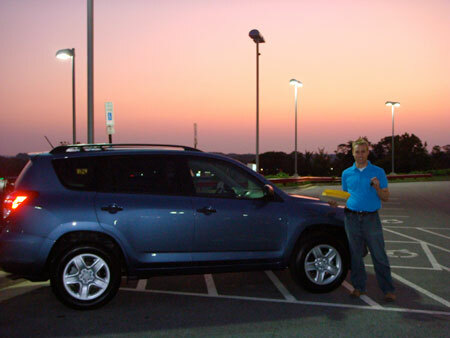 Russel Toyota (no relation) was able to get me a Pacific Blue Rav4 that was in transit but still qualified for a $4,500 discount. Needless to say I jumped on the offer as every dealer within 100 miles was absolutely sold out of Rav4s. I signed the paperwork, handed over the keys to my clunker, and updated my insurance in a 4 hour process. Since I no longer had a car, and my new one wasn’t there yet, the dealer gave me a loaner. 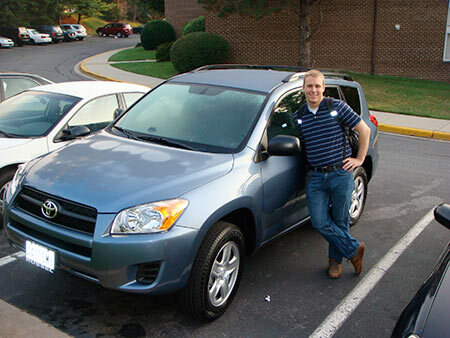 A Toyota Camry hybrid was my temporary ride until my Rav4 came in. The loaner car was nice with leather seats and a built-in GPS system, but there were a few quirks. I was happy to part with the loaner car once my Rav4 was ready. Kristina and I picked it up last night just as the sun was setting. The first morning home with the new car. I’m happy I came out on top and I love my new car. The van did have one feature that I do miss: it was paid off! Here are some of the 4×4 Rav4 stats for the car heads.